The colorist is responsible for the critical final stage of refinement of the film and broadcast image. Using all of the controls modern color correction software provides, colorists refine the mood, create style, add polish to scenes, and breathe life into the visuals. The craft of color correction can take considerable trial and error to learn, while the art of color grading takes years to perfect. 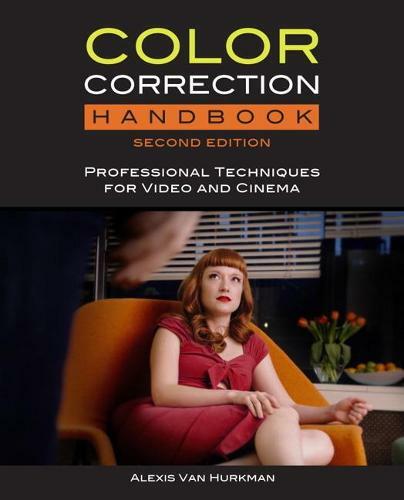 Alexis Van Hurkman draws on his wealth of industry experience to provide a thoroughly updated edition of what has become the standard guide to color correction. Using a friendly, clear teaching style and a slew of real-world examples and anecdotes, Alexis demonstrates how to achieve professional results for any project, using any number of dedicated grading applications, or even an editing program's built-in color correction tools. * Follow along with the downloadable files that accompany this book, including HD footage, cross-platform exercises, and project files.